Braun Hamstead was born in Jefferson County on August 20, 1948. He has been admitted to the bar since 1977. 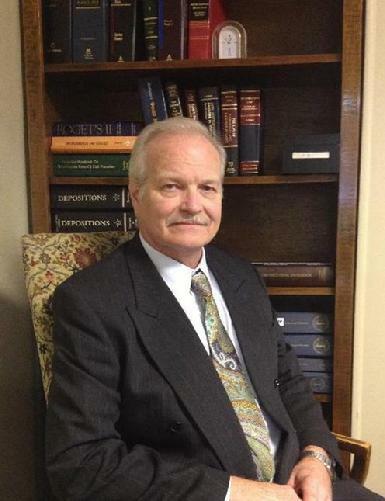 Over the course of his long career practicing law, Mr. Hamstead has also served as an adjunct professor for environmental law courses at Shepherd University, and has given presentations for attorneys and real estate agents at numerous accredited seminars on the subjects of environmental law, real estate, agency law, and planning & zoning. He worked his way through college as an electrician’s apprentice. After undergraduate school, he served as an environmental sanitarian for the West Virginia State Health Department as well as the Berkeley County Health Department. He has also served as a Planner for Region 9 Planning and Development Council. He opened the State’s regional Health Department, originally located in Martinsburg, WV. Mr. Hamstead plays keyboards, guitar, and is also a vocalist performing in local venues with his wife Julie, who plays violin. Mr. Hamstead was also a varsity tennis letterman at West Virginia University. 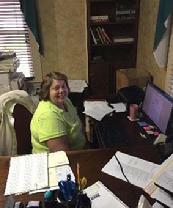 Julie holds a Bachelor of Arts degree from Shepherd University in English and has some 15 years paralegal experience. Julie is originally from Ohio. She has four wonderful children and one amazing grandchild. Ms. Stotler holds a Regents Bachelor degree in business administration from Shepherd University. She has several years of paralegal and finance experience, and she assisted her husband in operating a small local business prior to her employment with Hamstead & Associates.